Staffing has changed over the past 20 years. Here's my take. I may be going out on a limb here, but I’m taking the obvious stance that the reason my opinion was sought out on changes within the staffing industry – over the past two decades – has clearly nothing to do with my age. I’m pretty confident it has more to do with the vast amount of acquired knowledge, wisdom and experience gained along the way as well as my purely enviable God-given ability to see things as they truly are. And maybe the other people all said no. Or have a 4:00pm dinner reservation at Sizzler. Or have died. 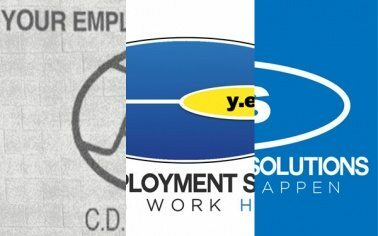 Either way, being involved in this industry and in the forefront of Your Employment Solutions’ staffing evolution since 1996 has proven one thing: although methods and procedures have been continually developed and improved, the core product we offer in finding the right person for the desired position and easing the burden of the client has remained the same. It’s all in our approach. Looking back 20 years ago I was just starting out in staffing and things seemed very simple. All that was required to get applicants in the door to fill jobs was posting an advertisement in the newspaper. People actually still read the newspaper back then. If they needed a job, they would go to the classifieds (Alison, that is the portion of the paper where people would post wanted ads for apartments, cars, and jobs). Applicants would then respond to the ad by calling into the office and coming in to get tested and signed up for a job. Today, the process is basically the same–but much more complicated. The newspaper is almost non-existent due to the rise of social media and the availability of internet access. We now post ads on Facebook, Twitter, Craigslist, Career Builder, Indeed, as well as continuing to post to Department of Workforce Services, online newspapers, and creating a presence on YouTube. There are so many more options to recruit and attract applicants. Finding out new ways to be visible and to stand out in the sheer mass of online information is the trick. Another big difference I see with staffing over the last 20 years is the amount of federal influence in the industry. It is without a doubt, presenting a huge challenge to many staffing companies to find and hire employees due to increased regulation. Each time the government introduces new regulation, the pool size of eligible employees shrinks. The amount of paperwork associated with ACA is tremendous. Also, the introduction of E-Verify has complicated the hiring of employees for our clients. Truly, the skill needed today for staffing companies is a perfect blending of old-school efforts and a capacity to implement new technology and regulations. Unlike 20 years ago, most of the job application today can be completed online. However, face-to-face, person-to-person interaction will win out every time in finding the best people for our clients. Your Employment Solutions truly understands the value of this lost art. We use bold and honest communication to make sure job applicants understand the requirements of a job assignment and that we know their skills and abilities. We have innovated our physical and mental testing and interview procedures to give us a clearer picture of the person we are sending out to our respective clients. We pride ourselves in building upfront, honest and enjoyable partnerships with our clients so that we fully understand their needs and the changes that they too are facing. 20 years has brought a lot – both challenges and advancements – in staffing. 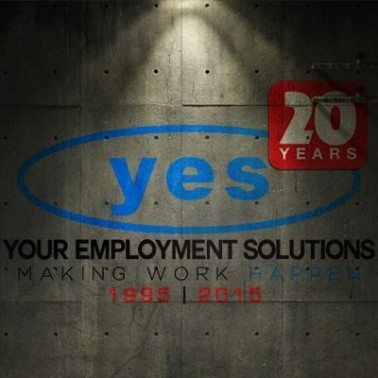 Our approach to stay up to date and our decisions to integrate the best of what is available now as well as from the past has allowed Your Employment Solutions to position itself as a leader in the staffing industry for the next 20 years to come.